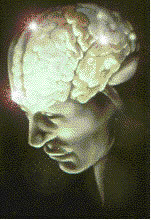 The Art of Thought Building to anchor new realities in self & the New Earth 5-D grid. September 15th 2009 - The art of thought building is a cultivation method in terms of gathering energy and letting go its use for creativity. It is powerfully aligned with the magnetic Law of Attraction, which influences all energy, including our thoughts and is what makes pure thought so potent. Its pattern of movement is powerfully magnetic and draws similar energy into our vibrational field attracting like situations to match the subconscious thought pattern. Like attracts like is essentially the magnetic basis of thought building. The intentional use of thought creates a powerful magnet. The longer we concentrate mental energy by holding a positive thought form in our mind with intention, a beam of energy emanates from that thought form entering our energy field to attract that creation garnering powerful positive energy around us. Our magnetized energy field then pulls from the storehouse of creation to gather the energy for manifestation. This makes controlling and forced action unnecessary when we are surrounded by energy that draws to us what we intend and instead of pushing, we can go with the flow. Another valuable way of using thought energy in co-creative activity is when multiple perceptions (three people or more) are focused on the Light of Divine heart within every evolving soul (or focused on the same object of attention-intention). Together the group upholds a positive vision offering an opportunity to attract greater Light and Love into the world. Such focused thoughts are connected by threads of Light and goodwill creating a pattern of light geometry. When the Light geometry (grid) is activated by gathered mental force it projects myriad rays of light that expand outwardly to create a subtle communication grid through which enlightened thinking and heartfelt responding can transform the atmosphere of human thought and relationship. As the light beams intersect at the foci a 3-D object or hologram is produced. Creating energetic holograms allow us to work with consciousness grid patterns and create 5-D templates (blueprints) to transfigure self, humanity and the New Earth.